We don’t blame you for thinking farms like this don’t exist anymore. Pigs live in sheds now, eggs are found in boxes, fish come with chips… like Elton said: It’s the circle of life. But fear not camping compadres. 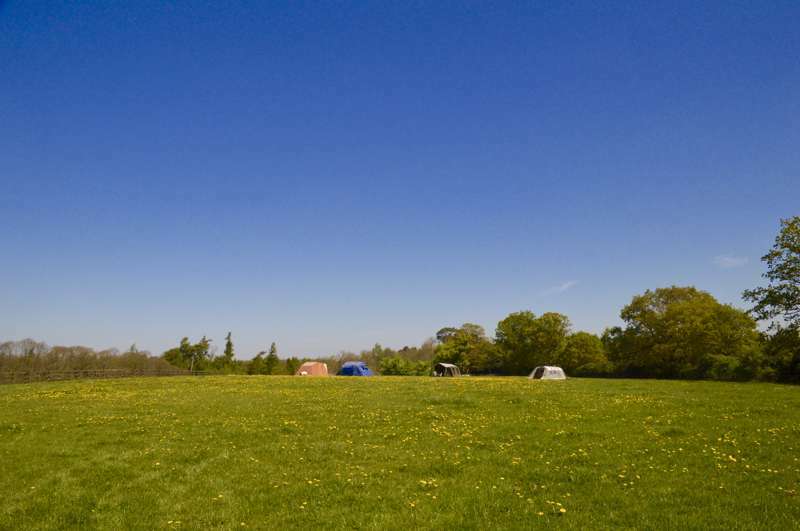 Mill Farm is here to put you to rights and if you fancy some proper on-the-farm glamping then your search has come to a close. 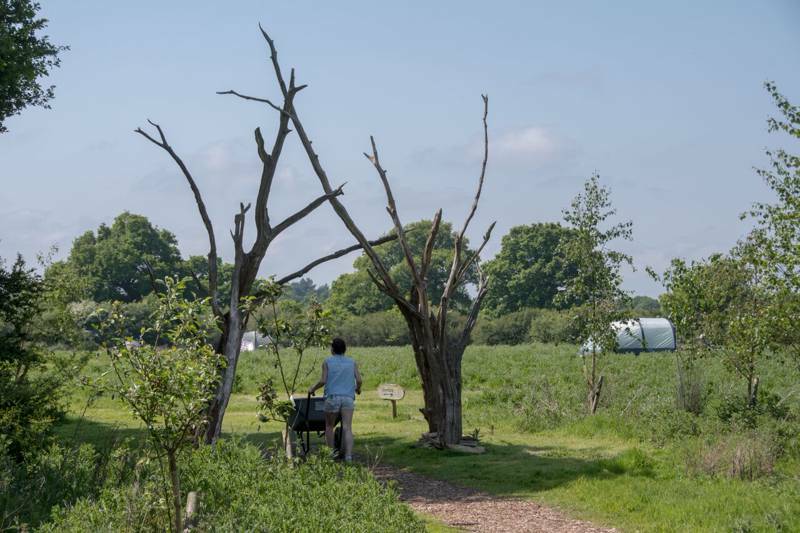 Nestled in the trees and meadows of the South Downs, Mill Farm is a delightfully rustic little farm with a host of different animals and acres for little’uns to explore. 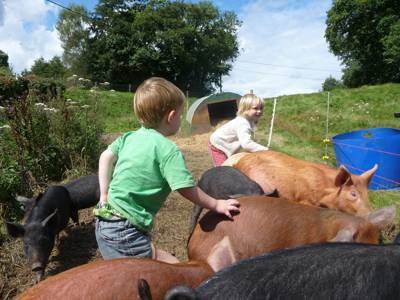 It’s not a twee imitation of ye olde farming – don’t expect horse drawn plows and hand scattered seedlings – but it still has a wonderfully traditional feel and, with its free range farming methods, avoids large scale commercial life. Pigs here live freely in the woods, wrestling their snouts against the roots and scratching their oversized rumpuses on the bows of old oaks, while chickens too flutter around the undergrowth. And, since there is no fixed coup, the morning breakfast can proceed only after a kid-friendly treasure hunt reveals eggs carefully deposited in hidden places. It’s such simple pleasures that make Mill Farm one of the best sites around and the accommodation itself becomes almost a side-note. Farmer’s Andrew and Jennifer are knowledgeable and friendly, the amount of activities to be found are seemingly endless and the enviable surroundings (think charming old pub, traditional post office and miles of national footpaths) make it a tiptop location. 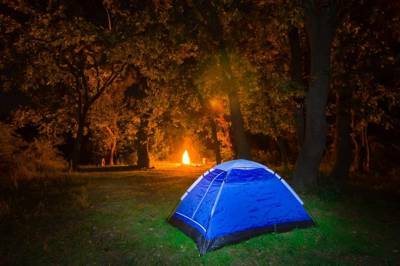 Yet when you do slope back to your tent for the night, well, let’s just say its time to rethink your concept of camping! Aptly described by the site as ‘canvas lodges’, the ginormous safari tents feature an en-suite bathroom with shower, basin and proper flushing loo, alongside a plush master bedroom and a separate room with bunks. The real gem is actually out in the main living space – a cupboard bed that works just as the name suggests and will leave the kids fighting for its occupation. You have been warned. The décor has a slightly Country Life feel, with big bronze chandeliers and vintage-style lanterns that, when evening comes, cast a warm glow across the interior of the tent. By day, the veranda out front enjoys spectacular views towards the Blackdown Hills and by night it’s the perfect place to keep the barbecue going and enjoy a quiet glass of vino from the amazing local winery. Now that’s a circle of life we could go for! Canvas Frills Lodges include a double bed, bunk beds and a cosy cupboard bed. The lodge has an En-suite bathroom with shower and basin and flushing toilet. There is a kitchenette with outdoor cooker, and canvas covered veranda along with a living space area with sofas, a dining table and the like. 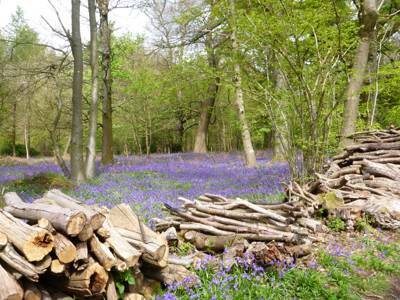 Wood is supplied for heating and cooking along with a starter pack of candles and lamp oil. Towels and bedding are all provided. Campers shouldn't pass up the opportunity to have a farm tour, but there are also chickens around the lodges and coup where you can collect fresh eggs. There is a wood fired oven that pizzas can be cooked in and campfires are permitted in the pit provided. Campers can also fish in the mill pond. It's a pleasant stroll from site to pub (or two pubs) and a short drive to Upperton Vineyards (01798 343695; see food and drink). For longer walks, though, you're certainly in the right place, with several footpaths running directly through Mill Farm itself and out into the surrounding South Downs (03003 031053). For a little heritage, Petworth House and Park (01798 342207) – a vast 17th-century mansion – is highly recommended and Woolbeding Garden (08442 491895) is also less than 15 minutes away, complete with a ruined abbey and a Chinese-style bridge and waterfall. Both are National Trust owned. If you go for a walk from the farm you're almost certain to end up re-hydrating in Lurgashall’s 16th-century pub overlooking the village green! The Noah's Ark Inn (01428 707346) is a wonderful spot, with real ales on tap and a modern but still pub-like menu. On sunny days you can spill onto the picnic tables out front. Also within walking distance (slightly further) is The Lickfold Inn (01789 532535), similarly quaint with its exposed tudor beams in the restaurant though perhaps a slightly more up-market feel. There are several wineries in the area and Lugashall's own (01428 707292) is not to be missed – as much for the old building itself as the wine and tea shop on offer. If it gets you interested it's a short drive to Upperton Vineyards (01798 343695) where there are tours and a visitor centre.